Trust that you and the family have recovered from the accident. As is usual the screenshots depict more impressive work, keep up the excellent route building. Excellent !!! The only thing I can see that might have a minor improvement - the elevated signal box at Peterborough - maybe a bit of subtle smoke staining on the end walls where the track passes under ? "Any railway that paints their locomotives such a magnificent shade of red, must be the most superior in the land" (apologies to the late David Jenkinson). Superb work, Clive - Very Well Done. 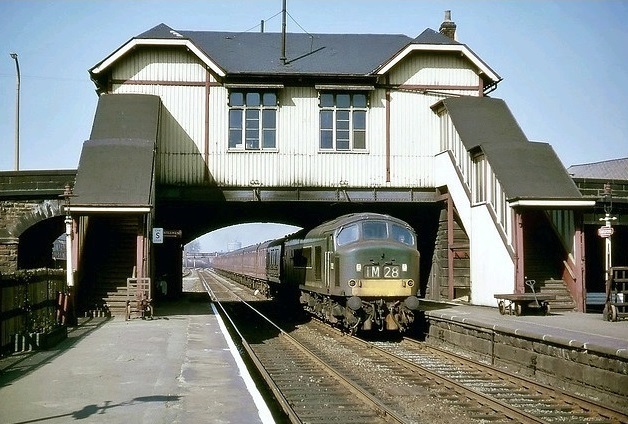 Coming in from the South was the Midland Station,after going under the Crescent Bridge on the left was the Midland Engine Shed and Goods Yard,these were opposite the old Great Northern Station,which up to 1968 had 3 platforms the entrance and exit to platform 1 and 2 were on very sharp curves. Between the Nene Bridges and the Crescent Bridge was the Peterborough Power Station,demolished about the same time as the 1968 station rebuild. I have a book with maps and photo's of Peterborough South end if you want to borrow it,the book has a os map showing Syston and Peterborough line and the Northampton - Peterborough Branch,where they join the east coast route. Many moons since I last posted any progress on Thames Trent V2 but I'm still plodding on. It is also growing, with a decision I made in December to go farther North. I had to buy the necessary Swift signalling books to do this section but, at last, the track has been laid and scenery can re-commence. 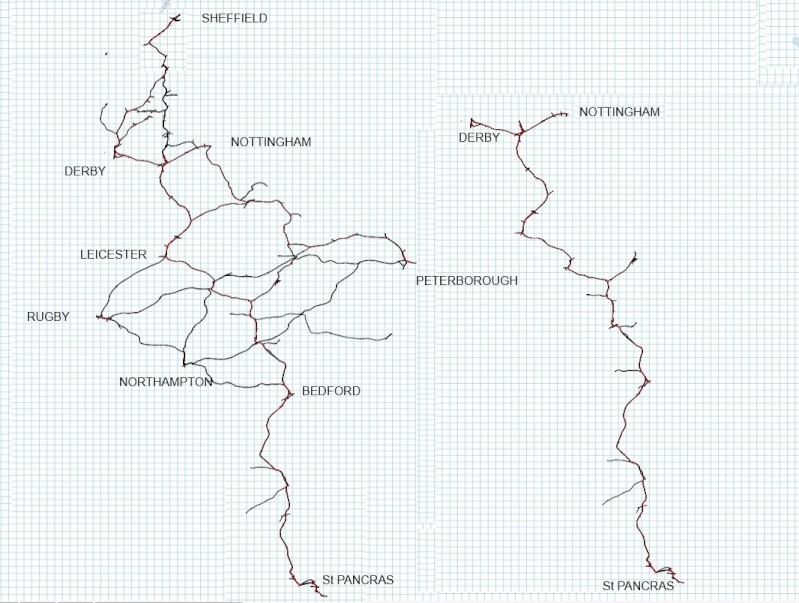 The lines are from Trent, and Derby, to Clay Cross and then on to Sheffield. 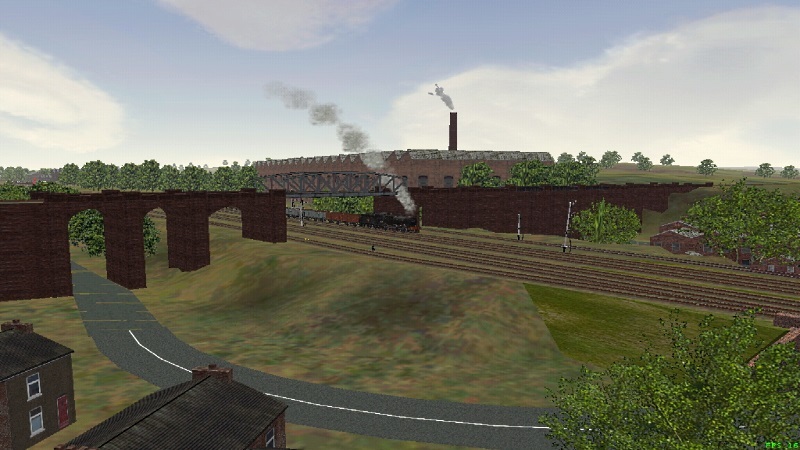 A lot of new scenery items are needed as this is predominantly a coal area so a few grabs of Moorgreen colliery which I built in a break from track laying. A few grabs of Sheffield Midland which is completed and the Heeley area next in the firing line as I travel back South..
A straight run from Sheffield to St Pancras via Toton is 146 miles according to MSTS so a nice little drive. Of course there will be the alternatives of going via Derby or Nottingham so should be fun when it's finished. 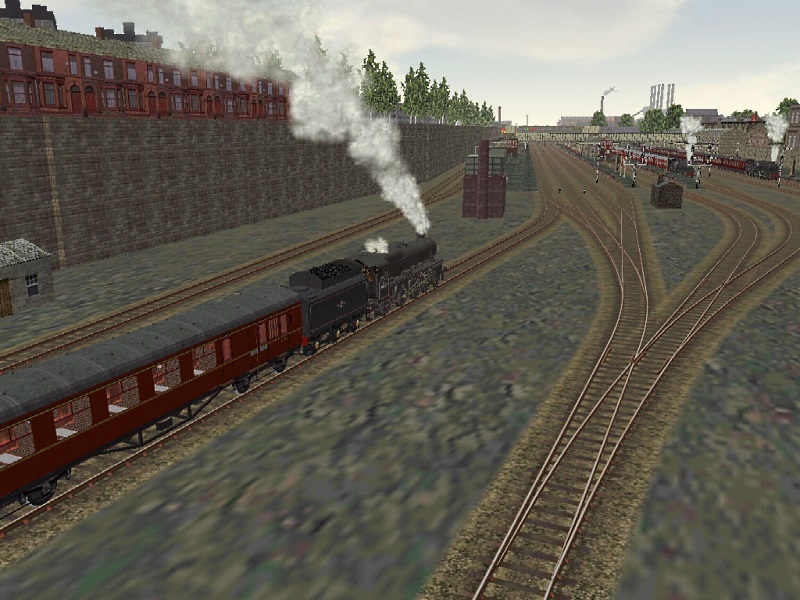 I'm not normally a steam route person, but I just loved the last version and looking forward to this one! Yet another great route taking shape Love the iconic flats at Sheffield! What a pleasant surprise for a Monday morning! Many thanks for a nice set of screenshots especially those at the pit. To see rakes of wagons/carriages in one area really epitomises the railway scene for me. Add this to the release of MEP this week, and once again proves how lucky we are to have such generous people within our community. Nice work Clive, and the colliery looks excellent! Still ticking away, now in my 70th year, although not been active on the MSTS scene for quite a while. A new relationship since loosing my wife, seems to be taking priority, but I am still following all the new routes being made for this age old simulator. Nice to see you are still beavering away Clive and I am amazed at what you have achieved so far by extending this route. All I can say is keep up the good work, I hope to get back with MSTS again, once I am living with the new love in my life. It's been pretty lonely living on my own over the past couple of years..
Good to hear you're ok Geoff and MSTS is waiting for your return. A couple of the Avenue coking plant. I am actually well past this point, with the scenery laid through Clay Cross and just past Ambergate. According to the track monitor, 11 miles to Derby, although a lot of heavy industry and, unfortunately, the river Derwent, which meandered close to the line all of the way from Ambergate to Derby, will make this section a bit slow. Once this section is completed, it will be putting in scenery from Clay Cross to Nottingham and Toton, which will finish the northern extension. Nice work Clive. 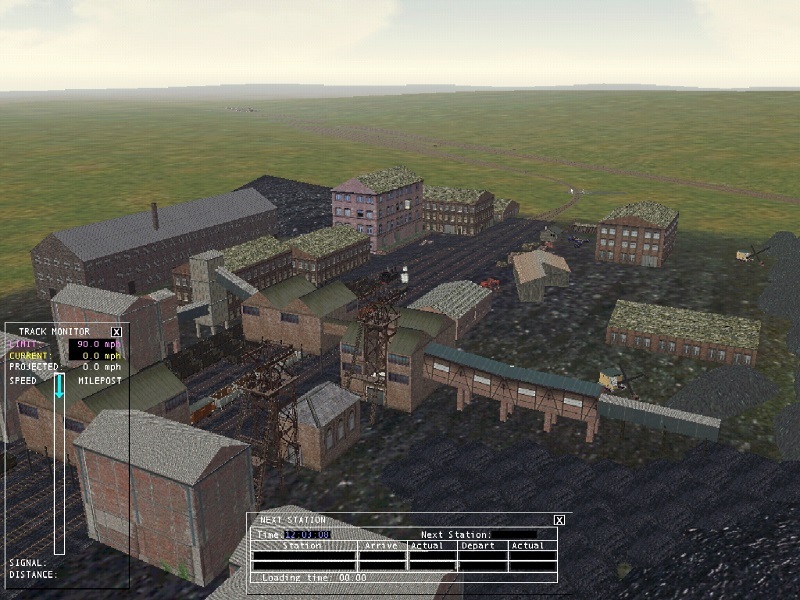 I don't know this area at all, but all the industrial buildings and works look very impressive. Luckily Google does give me quite a bit of info with a bit of digging and even the odd useful photograph. I was given a cab ride DVD of the whole route made in the early 70's (I think) which I use a fair bit, but even by then, most of the lineside industry had disappeared or was just flattened waste ground. 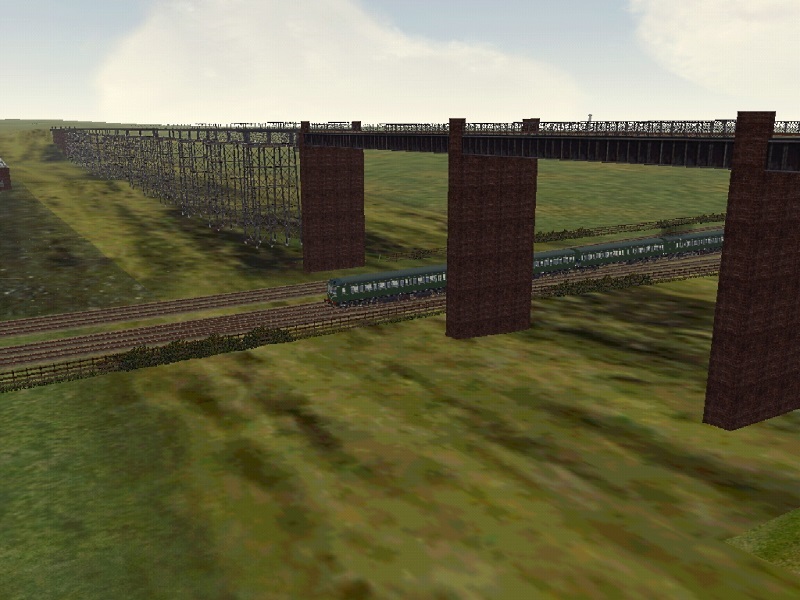 Good to hear from you, and to see that Thames Trent 2 is continuing to progress very nicely as illustrated by the screenshots. A long overdue update on TT V2. I didn't realise that I haven't posted since March but good progress has been made. This is an updated map of V2 showing a comparison with how Thames Trent started. I never envisaged it getting quite this big. The line to Peterborough was completed a while ago and i've been concentrating on the area to the North of Deby/Toton/Nottingham. It's now fully scenic from Sheffield to Derby via, Clay Cross and I'm working back North from Toton to Clay Cross. 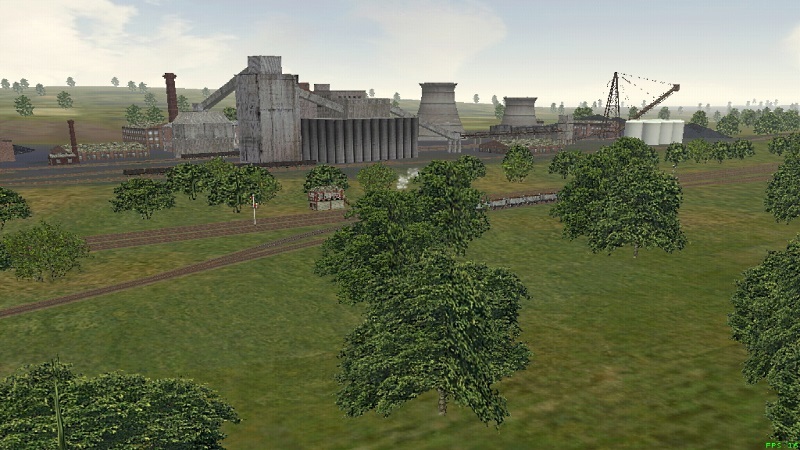 This Northern part of the route is a heavily industrialised section, with 22 coal mines which are nearly all added (6 between Toton and Clay Cross) + several other large industries/siding complexes. 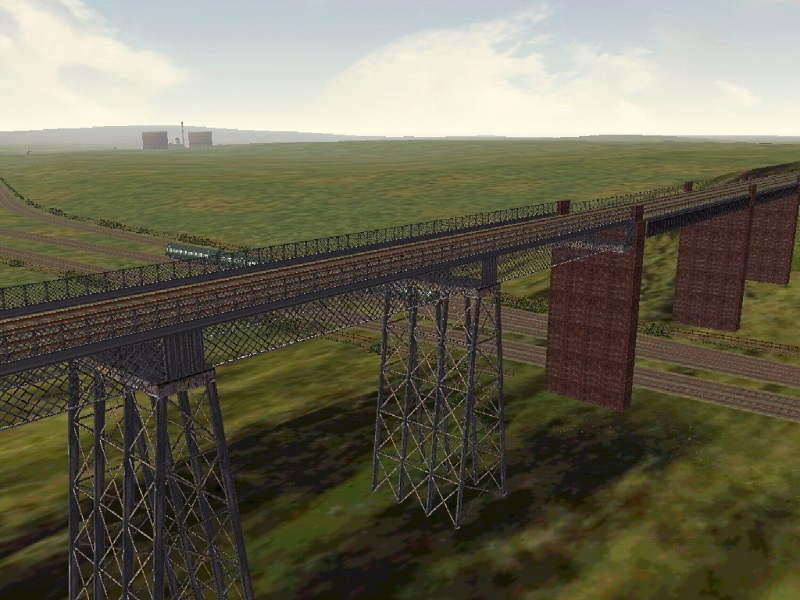 A few grabs of Bennerley ironworks and viaduct which is probably the most impressive part (still a work in progress) on the section from Toton to Clay Cross. A close up of the 'ironwork' needed to build the viaduct. Football is calling so not much more tonight. How many will Germany get? Stunning how much you've expanded it by. What a super treat for a Wednesday morning, and the viaduct looks absolutely brilliant. Can't wait to see the next update and screenshots. Thank you for for these. I don't expect when you referred to Germany you quite expected them to get a total of 7 (seven); could have been more if Ozil could actually shoot! I was trying to make the post when they had just scored the second. Came back to try and finish it off, and they scored the third. Just managed to finish the post as they scored the fourth. Gave up everything MSTS wise at that point, opened a beer and watched the rest of the game. Opened a Beer Clive,what only one.!. So a couple from the last 2 weeks work. I've been pressing North from Toton towards Clay Cross which will finish the northern extension. Having just reached Pye Bridge it seemed a good time to post something. It has been a 'difficult' section that might cause problems for some. 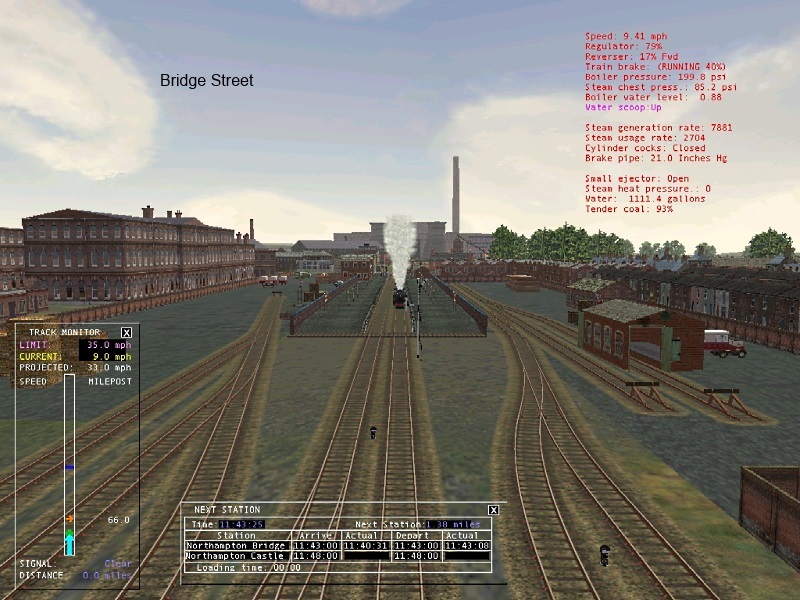 There are major sidings/industries spread about a mile apart between Toton and Clay Cross and there are numerous junctions between the goods and passenger lines which has made signalling interesting at times. Hence every tile is 1000 objects+. Now from Pye Bridge to Clay Cross. 7 miles and no respite from industries or sidings once a mile. Continues to impress; thank you for the update and screenshots. Don't worry about it, Clive, I got a tile with 1999 items on it! NiallGray wrote: Don't worry about it, Clive, I got a tile with 1999 items on it! I've never managed to get that high without things breaking. I think the Gloucester tile on BTB was my biggest at about 1500-1600. Over that and strange things happened with the road sections disappearing. In general now, by hook or by crook, I don't go over 1400 and try to keep to the 1000-1200 mark. That seems to keep my routes running ok without having to mess around turning the settings down. I have 3 different lines and six stations all on one tile. In V3 it worked fine without any problem, but since I upgraded two tiles next to it, I now get issues in activity mode. Trying to strip it down but best effort was down to 1750 before I corrupted it. (Thankfully made backups so nothing lost) I will try again soon. By the way, I love the buildings on Trowell Junction station, ie the stairs and building at the top. I don't know the real location, it just looks great. A bit of 'cheating'on that one. I couldn't find any photographs of Stanton Gate and Trowell Junction (2nd and 3rd stations after Toton) but they would have been similar in design as both stations were 'islands' flanked by goods lines either side and a road bridge giving access. 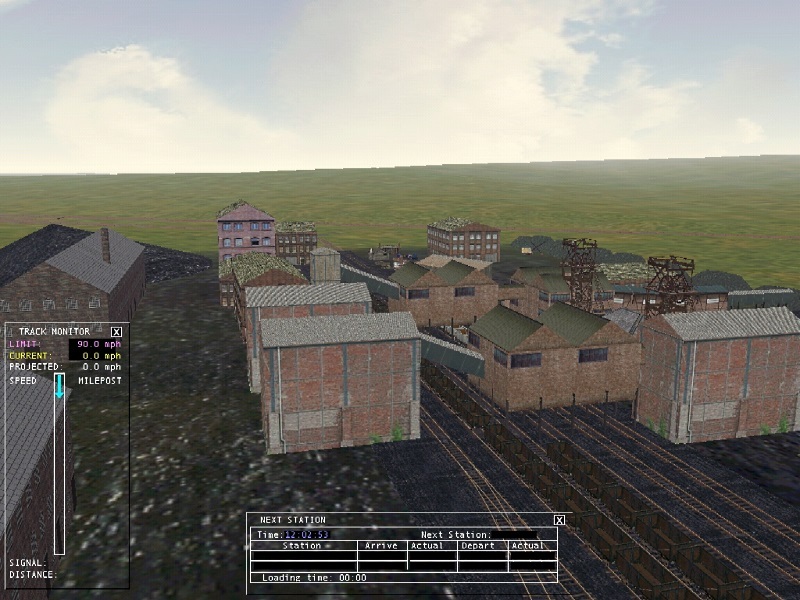 Same station building, different arch formations to match the tracks. The Midland seemed to like this type of station building. I had to create a couple for the drop into Sheffield. With those I didn't have one clear photograph so a bit 'i think it may have looked like this' was required . All I can say is WOW! Continues to impress! We are certainly being spoilt with your route and Danny's South East Route! This is most definitely going to be another one on my Add list! I'll second that! Who said MSTS is finished? Who said MSTS is finished? Well I'm at it let me also say some of the older Routes are well worth taking out again,I've just been running Manchester Metrolink (only just bought this one on Cd) and Midland Skipton to Carlisle (1920),both of which are very enjoyable. 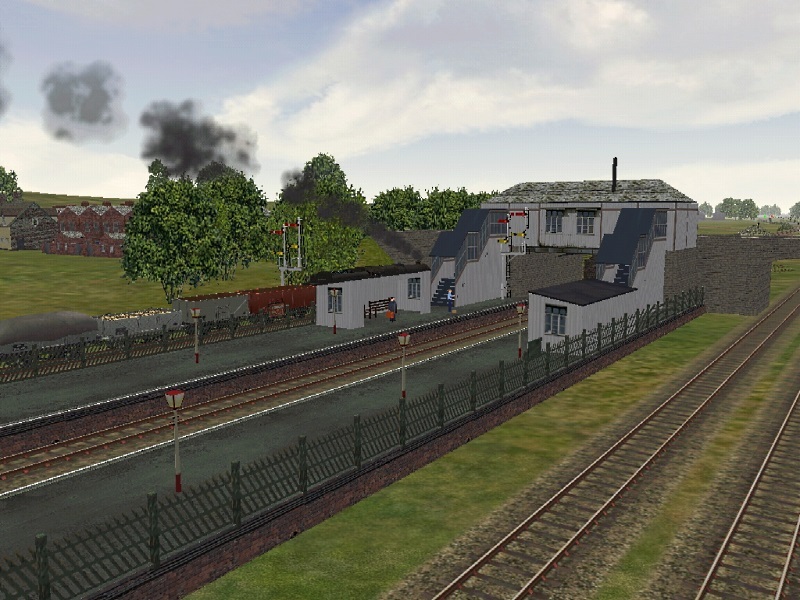 neanderthal wrote: Who said MSTS is finished?,well to be honest I did,but I haven't got a hat to eat so I'll just have to eat my words instead.With the arrival of these few new routes coming out (soon) I now expect it to outlast me . I think it will outlast quite a few of us old codgers, but at least we will have got the best out of this twelve year old sim. But hey! There is still more to look forward to yet, with all these new routes still in progress. Sorry to have encroached on your topic Clive with these quotes. Keep at it mate, this is going to be one hell of a route when it's finished. I think this will be another fantastic route from you Clive, aren't we going to have a good year for MSTS,I can think of possibly 6 new routes,this one,Tim Mitchell's Great Central London Extension,MEP+ Steam Era,Dannys South Eastern Steam,North West England,Niall's Glasgow Carlisle,and there might be some others as well that we don't know of. Sorry, I haven't caught up on this thread for a while, (knackered computer) it is looking really impressive now. 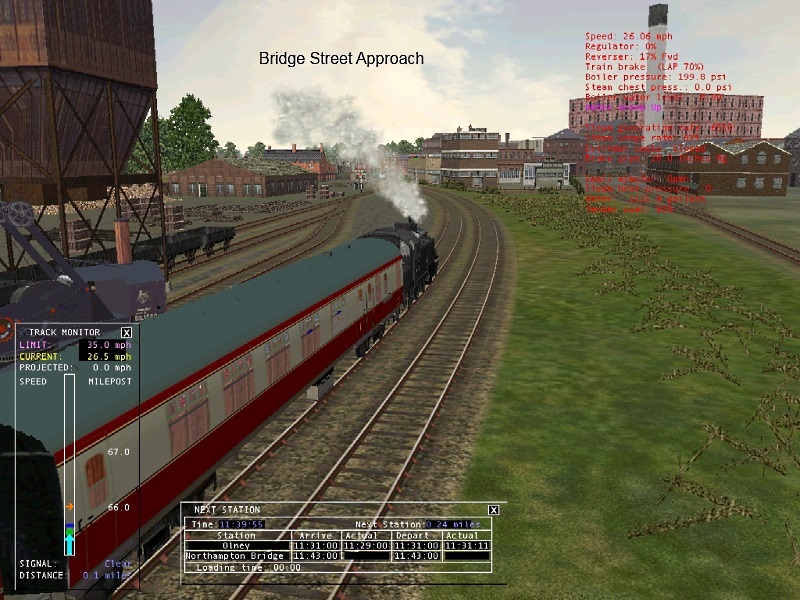 Getting a new computer soon, (hopefully tomorrow) so hopefully I'll be able to run MSTS again and catch up on everything. 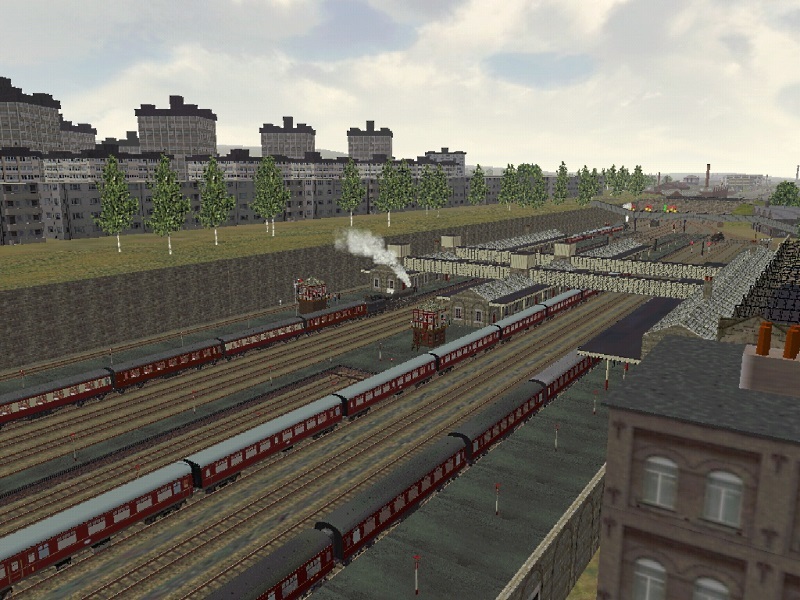 The northern extension has finally been finished so a couple of days off from route building to actually run trains . Three more activities have been set up, making a total of 7 new ones so far for V2. 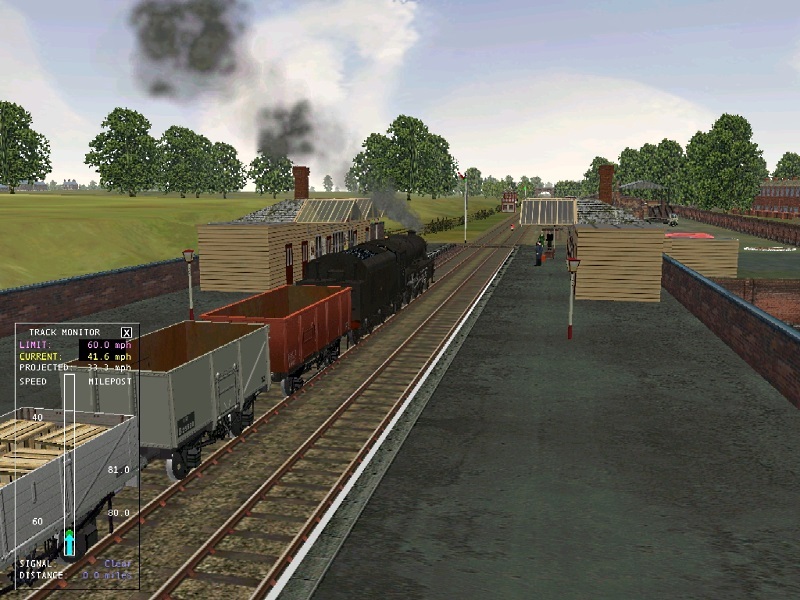 Only the player paths are set at the moment, but they're helpful for checking scenery and signalling problems. A few grabs from a steam hauled Condor. The trip starts at Hendon and finishes just north of Sheffield at Grimesthorpe. About 135 MSTS miles and a 3 hour 10 minute run. 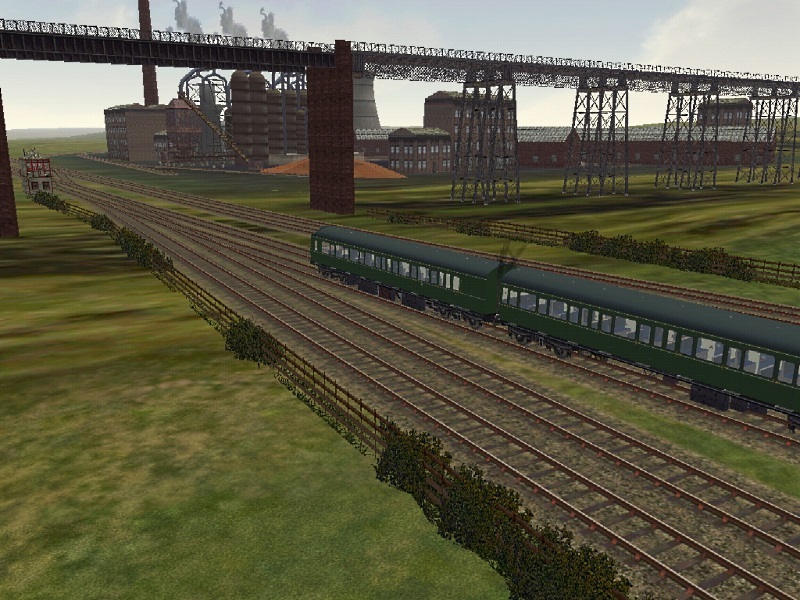 This one uses Ian Macmillans' Conflat Ps as opposed to my original Diesel hauled act that used my models of said wagons and are a vast improvement. I have been experimenting with some of the V1 activities, and with a little modification to the .act file, it seems they may run on V2. If they do, it won't take too much to extend the paths on some activities to cover the newly added sections and save a lot activity making time. It's now back to the southern section, with Bedford to Northampton/Rugby next in the firing line. Good to hear from you Clive, and in particular to see the excellent progress as illustrated in the screenshots. It's looking good Clive Look forward to having a run on it. I had forgotten i was registered here. 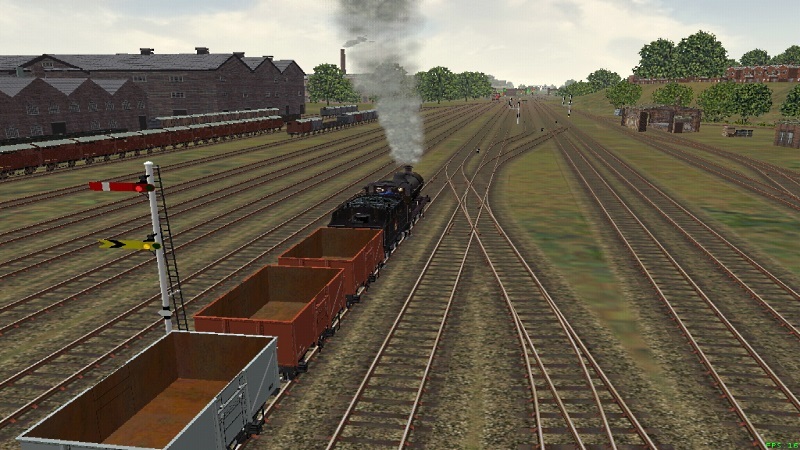 I don't run MSTS anymore only OR, which i think adds a massive improvement to MSTS addons. All the hard work that you must have put into this, is very much appreciated. 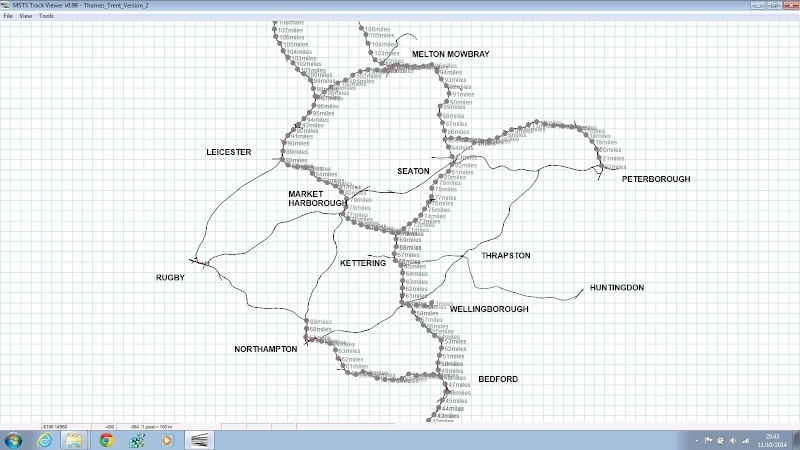 With the Northern expansion finished, Oakley Junc (just north of Bedford) to Northampton/Rugby is now being worked on. This section, and pretty much all of the lines left to be scenerised, are rural with just the odd town or village in sight of the line. This means the route will develop pretty quickly compared to the Northern section, but now it needs some imagination to try to put in little scenes to provide a bit more interest. With Turvey: (5 miles from Oakley Junc) its a wedding party. Having just had the service in the local church, everyone is being transported to Bedford for the reception. The bride and groom are having some photographs taken while waiting for the remainder of the guests to arrive. Hopefully they'll get there before the train departs. Thanks for the update, and these little extras certainly add to the interest. 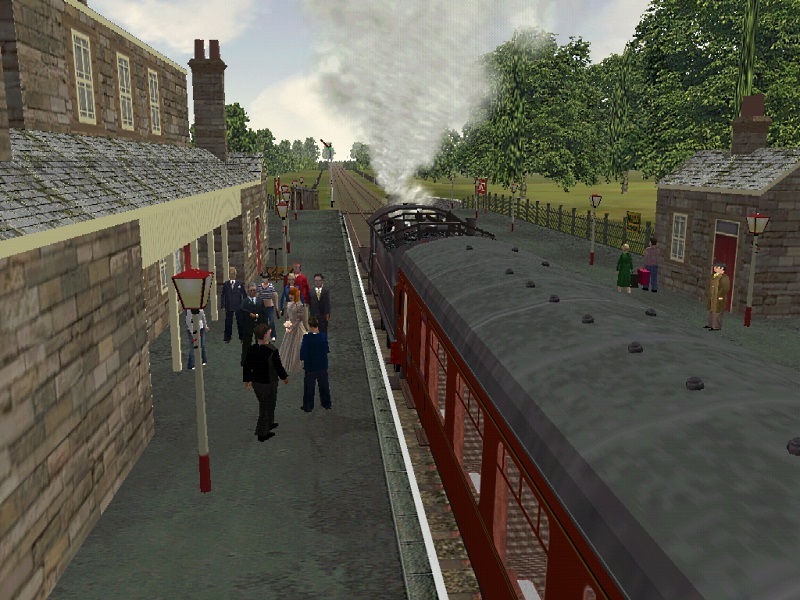 Hi Clive, That wedding scene on the station, is such a nice touch and a first, I think, for any route yet made for MSTS. It's little touches like this that adds interest, when running activities. 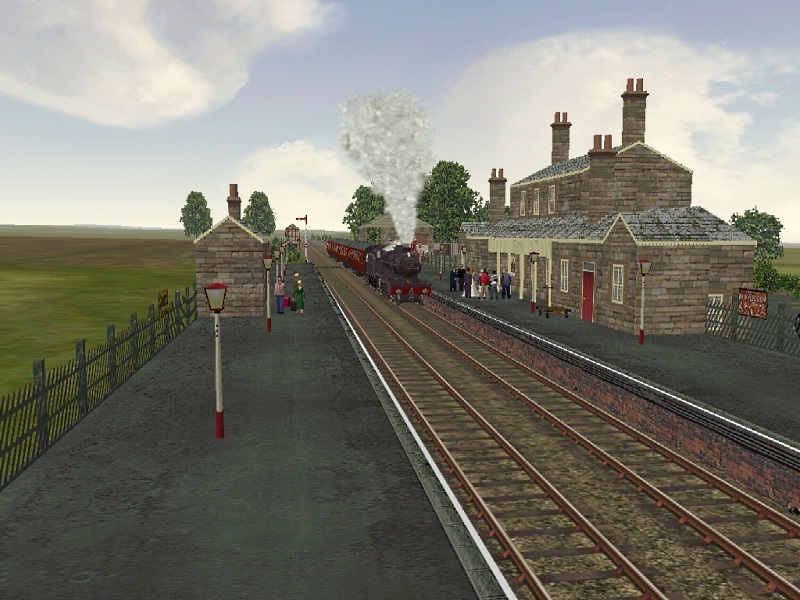 That's why I decided to add a few railside scenes for the SCP Route, such as the working quarries and the vintage traction engine rally, just outside Perth, besides other scenes. 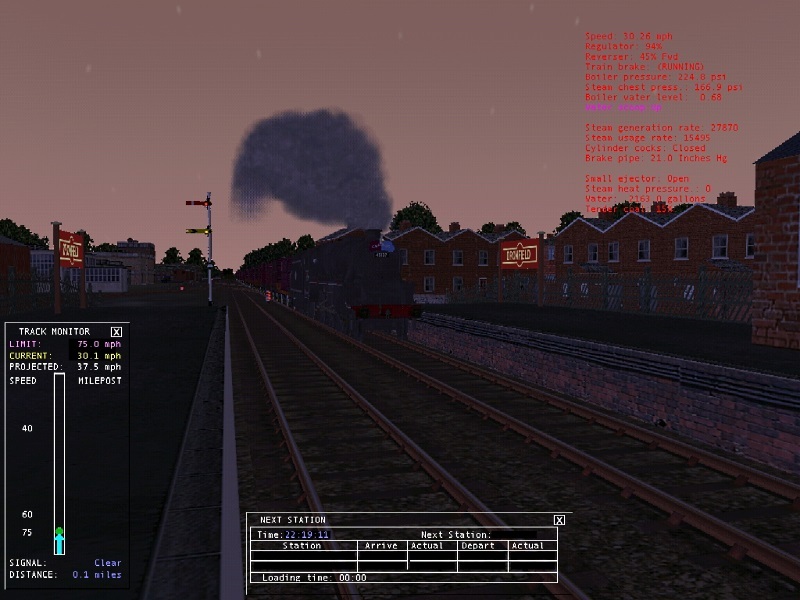 It all adds to the enjoyment of running MSTS. 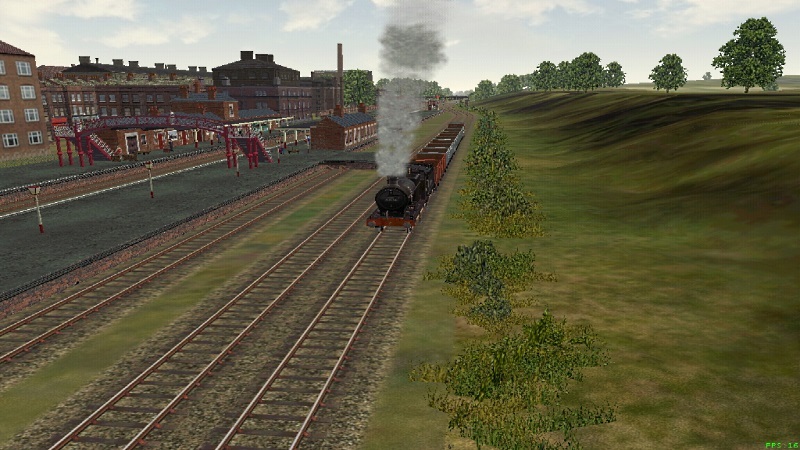 As I have stated on other topics on UKTrainsim in the past, most of the routes I have either purchased on community DVD's or downloaded from UKTrainsim, have been upgraded for my own personal enjoyment. I have opened up the route editor on most of these routes and added passengers to the stations, as most of the early routes like Thames Mersey, Bala Hub, Settle Carlisle 1920's just to name a few, lacked passengers. 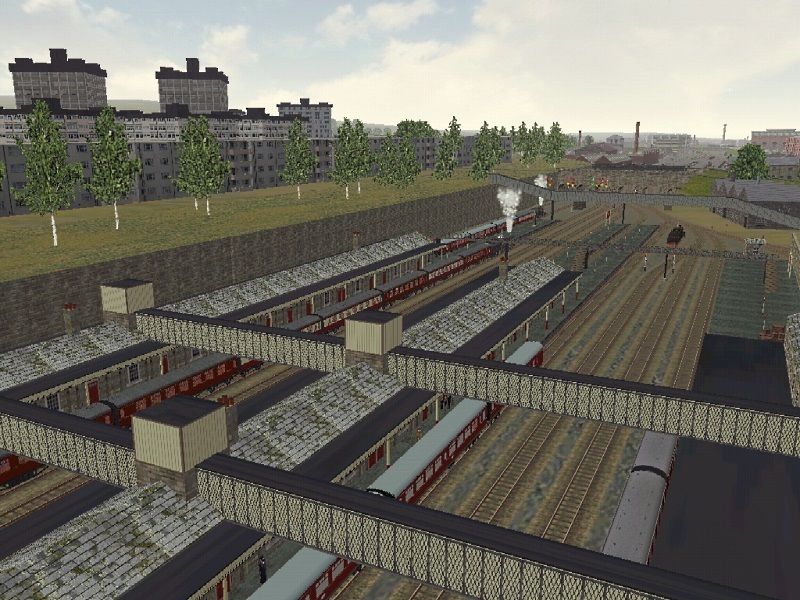 I have also added railside scene's to some of them as well. Once done, I copy them to a new CD or DVD, so that I have all these routes revamped with all the added material, so I have a hard copy. Now when I run the activities on these routes, it makes them that little bit more enjoyable. So I am glad you are following this pattern, by adding life and enhancements to Thames Trent V2 and I am sure everyone else appreciates this too. Really looking forward to this upgrade Clive, and I know that I will not need to add anything to it, like I have done with other routes, as there is a lot of work involved, to enhance routes like I have done with my own copies. 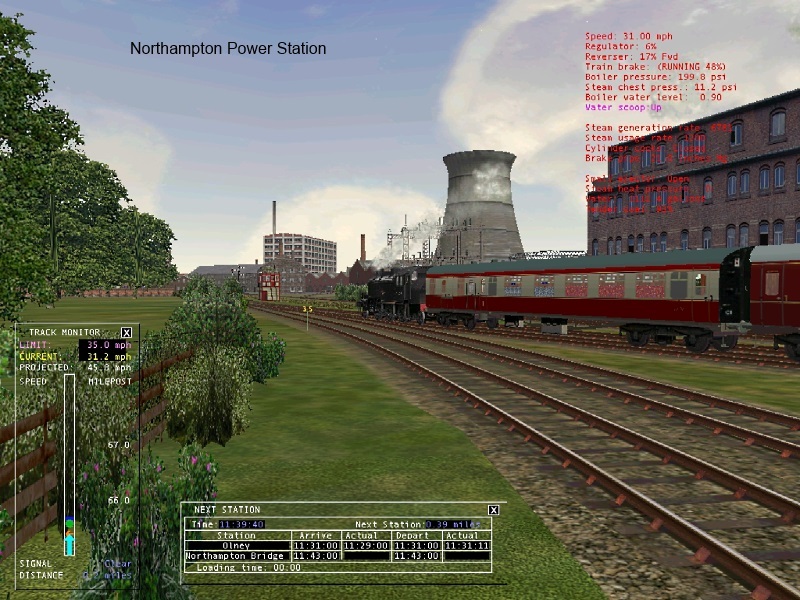 The latest section is now finished with the line being fully scenic from Bedford to Northampton. A few grabs of the Northampton bit. Northampton to Rugby next. This is a link to a little video I made of the run through Northampton, starting just before the power station and ending at number 5 box where the lines split to Rugby and Market Harborough. Unfortunately the quality of the video isn't very good. The route in 'real' life looks much better. Thanks for the little Taster trip Clive,I found it to be very enjoyable. Despite your misgivings I very much enjoyed that trip, and it showed your route in all its glory. Mind you I may have dislodged the odd signal and bridge as I kept forgetting to duck!!!!! Great work as always, Clive! Great work Clive! Love the detail! 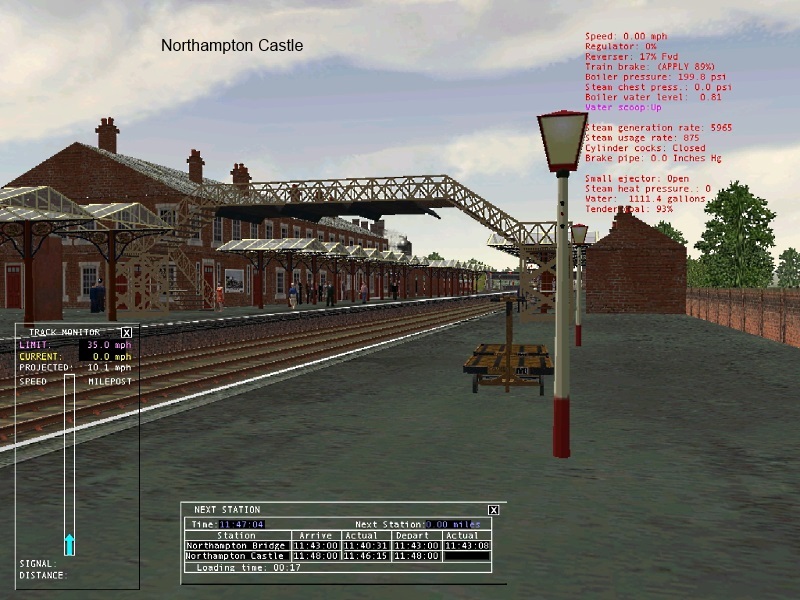 Especially at Northampton Castle station. Thanks for all the nice comments. I hope V2 will be enjoyed when it is eventually finished. There is still a fair way to go as the map below shows. Anything with mileposts has been finished. 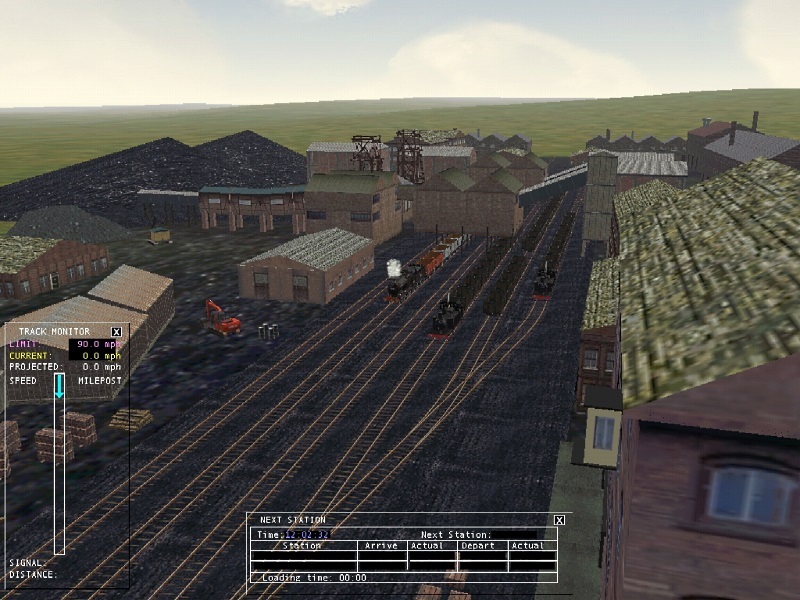 The Bedford to Northampton section (excluding Northampton itself) took about 2 weeks, so roughly 16 to 20 weeks of scenery placement left . Another section completed with scenery to Rugby. Long Buckby and Kilby & Crick had wooden buildings with glass canopies. Very grand structures for such out of the way places. Another little video. This time the section from Rugby to Northampton. Thank you It's looking fantastic! It seems as if we Midlanders will be spoilt over the next couple of years or so, what with Tim's Woodhead extension to Rugby, Don's cross-country to Nottingham and the Potteries Loop, not to mention Mid East Steam. Yours will be joining an illustrious band, if I can use that word!! Thanks for the video, it's looking great, really looking forward to this route. I can only echo Mark's comments.